NEW YORK, NY, Sept. 23, 2014—U.S. Transportation Secretary Anthony Foxx today announced that 40 projects have been competitively selected to receive a share of $3.59 billion in federal disaster relief funds to help public transportation systems in the areas affected by Hurricane Sandy to become more resilient, in order to withstand the impact of future natural disasters. Approximately 90 percent of the funds will be invested in resilience projects primarily in New York and New Jersey, where transit systems sustained the worst of the storm damage, with the remainder going towards projects in Connecticut, the District of Columbia, Massachusetts, New Hampshire, and Pennsylvania. A list of all funded resilience projects is available at http://www.fta.dot.gov/15138_16147.html. Secretary Foxx made today’s announcement at Peter Minuit Plaza, between the South Ferry transit station and the Staten Island Ferry landing. He was joined by White House Counselor John Podesta, U.S. Congressman Joseph Crowley, U.S. Congressman Gregory Meeks, U.S. Congressman Grace Meng, U.S. Congressman Jerrold Nadler, and New York City Department of Transportation Commissioner Polly Trottenberg. System-wide resilience projects that will benefit future South Ferry subway riders include sealing street-level vents and manholes and protecting underground pump rooms, circuit breaker houses and other underground facilities that deliver power to the South Ferry subway station and other facilities. Grant funds also will enable the purchase of two new Staten Island ferries capable of withstanding adverse storm and climate change conditions. In general, the projects selected for resilience funding were required to demonstrate that they would reduce the risk of damage to public transportation assets inflicted by future natural disasters. Emphasis was placed on a project’s ability to protect the most essential and vulnerable infrastructure, as well as effective collaboration and coordination among local and regional governments. The project evaluation process was rigorous, involving specialists from the FTA, the Federal Highway Administration, the Federal Railroad Administration, and the Federal Emergency Management Agency. FTA received 61 proposals seeking a total of $6.6 billion. 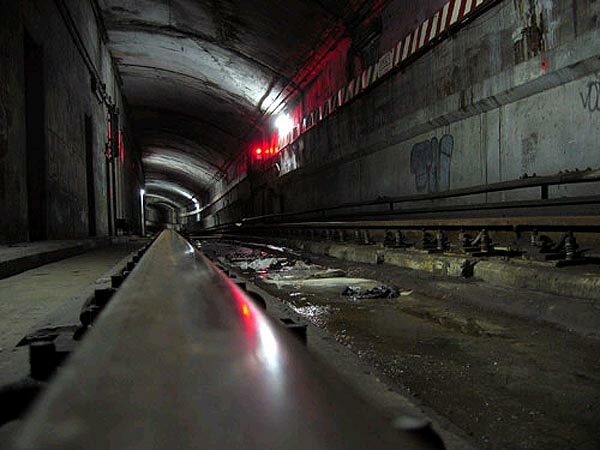 The New York Metropolitan Transportation Authority (MTA) will receive approximately $1.6 billion to make flood protections at multiple street-level openings throughout the subway system, rail yards, substations, critical support facilities and underground equipment; tunnel portals used by the Long Island Railroad and Amtrak; and Rockaway Line stations; upgrade an emergency management communication system; flood proof communications and signal rooms at key subway stations; upgrade water pumping capacity; and flood proof four bus depots. New Jersey Transit will receive approximately $1.3 billion to reduce the risk of flooding to Hoboken rail yard and the city by filling a deteriorated inlet inside the rail yard; construct a rail storage and re-inspection facility located outside the floodplain that could be used to safely store vehicles in an emergency; and replace the aged and deteriorated Raritan River Drawbridge damaged by Hurricane Sandy with a new bridge that is less vulnerable to storm surge and flooding. The Southeastern Pennsylvania Transportation Authority (SEPTA) will receive approximately $86.7 million to build an alternate system control center to ensure continuity of operations in case a major storm knocks out the system’s central control facility; stabilize the slopes of several commuter railroad embankments to reduce the risk of rockfall or landslides after severe rainfall; and improve flood protection to protect commuter rail lines. The Massachusetts Bay Transportation Authority (MBTA) will receive approximately $35 million to raise a retaining wall and install watertight barriers at MBTA’s Green Line Fenway Portal to reduce flooding; and repair and improve a deteriorated seawall. The Disaster Relief Appropriations Act of 2013 provided $10.9 billion for FTA’s Emergency Relief Program for recovery, relief, and resiliency efforts in areas affected by Hurricane Sandy. That total was subsequently cut by almost $545 million due to sequestration. FTA is allocating the remaining $10.4 billion in multiple tiers for response, recovery, and rebuilding; for locally prioritized resiliency projects; and for competitively selected resiliency work. To date, FTA has allocated nearly $9.3 billion of the total funds appropriated—roughly $5.7 billion for initial and ongoing recovery work and $3.6 billion for the larger resilience projects announced today.